Erlangen’s chimney sweep! Erlangen’s Schornsteinfeger! Some of you might know this story. It is a true story but please don’t judge. Just remember, this story took place when I first arrived in Germany after the birth of my first child. I responded: ‘What do you want? And why do you have a kangaroo on your cap? He laughed in response, ‘ I don’t know what I am called in English but I am here to check your chimney and clean and help you to keep safe. YOU MUST LET ME IN! I AM THE ONE PERSON IN GERMANY THAT MUST BE ALLOWED IN! A quick phone call to my husband revealed that Schornsteinfeger means Chimney Sweep! I know you are all thinking that I must be daft, but Australians don’t see them, and if we see a ball and chain, I guess we think of our history of colonial Australia! Chimney sweep with ball and chain in Altstadt Erlangen. That was a long time ago and this morning, I bumped into the Chimney Sweep from the Altstadt in Erlangen. 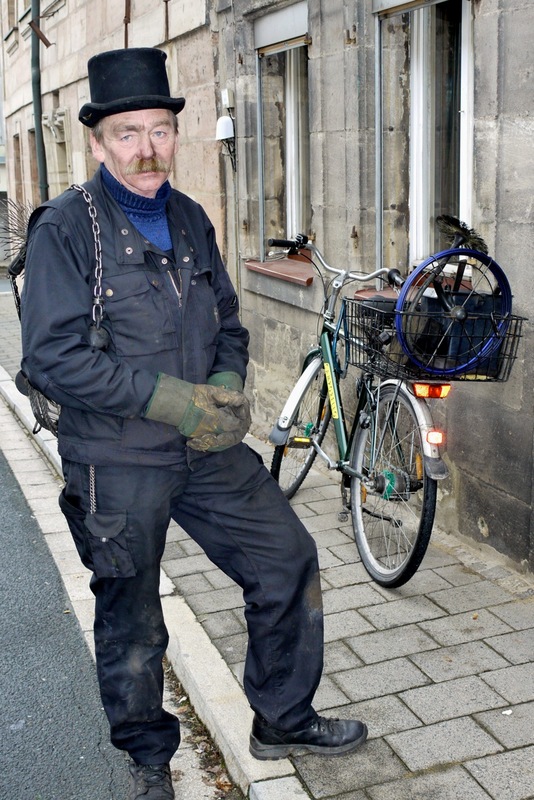 He rides round on his bike and helps the people by making sure their chimney is safe for the forthcoming winter. It is good luck to see or come across the Chimney Sweep. When the young Chimney Sweep left the house, all those years ago he was laughing and told me he would be telling the lads at the pub that night, about the Australian girl who didn’t know what a chimney sweep was!! Be happy if you stumble across this fellow. It brings luck! After ten years living in Germany, I still laugh when I think about that poor young guy at the door. Fancy asking him if he had just escaped from prison! OMG Moira, this is sooooo funny. They do look so odd, don’t they. I can just picture you, holding little Lukas and denying this poor guy entry to your home. Thanks for sharing! Doesn’t it seem crazy?? I am still dining out on this story, but being in Germany yourself, you can imagine. I laugh every time I see a chimney sweep like this morning! I was laughing when I approached him. He thought I was odd to ask if I could take his photo. He had this sort of look, ‘Well I know it’s a dirty job but someone has got to do it! 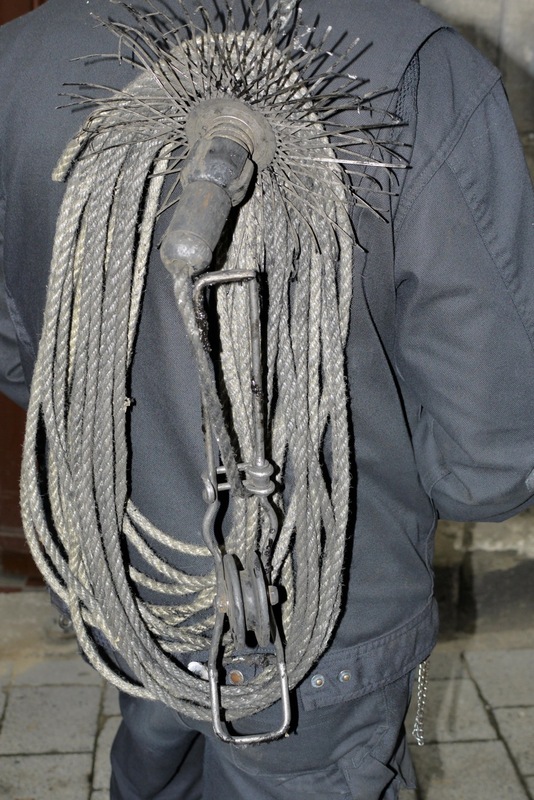 THANK YOU to all the chimney sweeps……..they are here to keep us safe! What a great story. I wouldn’t have had a clue either. We live and learn. When I got used to the chimney sweep idea, I then had gypsies knocking on the door offering to sharpen my knives! Like, yeah, I am going to let some strange man into my house and sharpen knives and scissors!!! I call them the knife sharpeners and it really does happen here………..